Toners are a great way to keep processed hair looking natural, but finding the right shade and learning how to use the product correctly can take a little practice. Luckily, I've used Wella toner on my hair many times and am here to share my best tips with you. What Is Hair Toner and How Does It Work? Can Toning Damage Your Hair? One of the most popular and accessible toners out there is Wella Color Charm. They've got a family of three main branches: silver ash, and beige. T10 Pale Blonde: Formerly known as "Ivory Lady," this toner contains violet-blue undertones and will cancel out yellow-orange tones in your hair. T14 Pale Ash Blonde: Formerly known as "Silver Lady," T14 is also violet-blue based. This shade will add ashy tones, resulting in a hair shade that is darker than T18. T18 Lightest Ash Blonde: According to many reviews, this toner is better for going to nearly a white blonde than T10. This is a violet based toner, "White Lady," that will eliminate light yellow tones from your hair. T11 Lightest Beige Blonde: This toner has a green-violet base, and will result in a sandy beach tone. It is best on yellow hair, and not ideal if you are looking for a cooler tone. T35 Beige Blonde: Another toner with a green-violet base, this product will cancel out the red and yellow brassy tones in golden hair while still keeping it warm. What Color Toner Is Right for Me? In order to use these toners, Wella recommends that you lighten your hair to at least half a shade lighter than your desired end result. 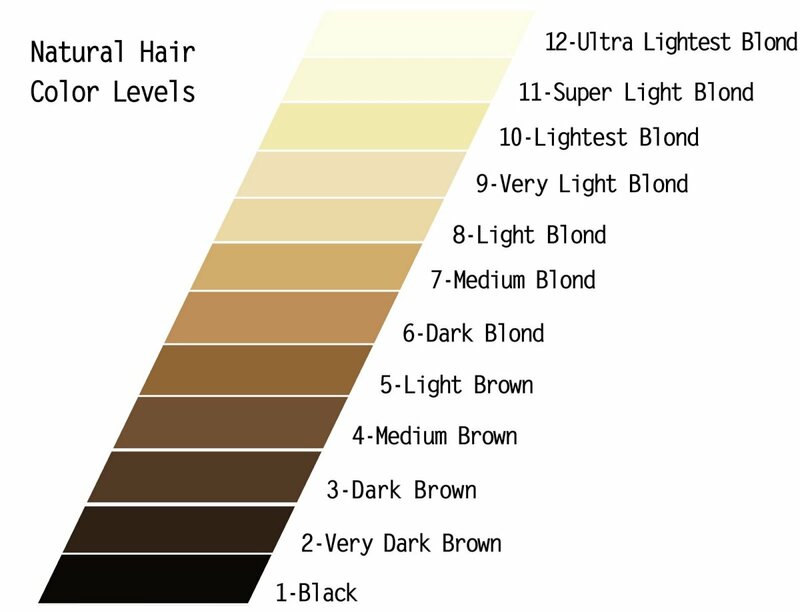 I've included a chart showing lightness shades below so you can figure out what level you need before toning! Chances are you're going to want to lighten to a level 10 to 12. It's important to consider the damage that could be done to your hair through the bleaching and toning process. It's inevitable, but when done properly, you can still maintain a healthy mop. Once you've decided on the proper shade of toner for you, the rest is very simple! In your glass bowl, mix 1 part toner to 2 parts developer. As you mix it with your dye brush, it will start to form a gel. It is wise to conduct a strand test to figure out your processing time. Select a small section of hair that isn't terribly visible. Test out the toner and see what amount of time produces the desired result. I'm not very wise, so I usually skip this step. 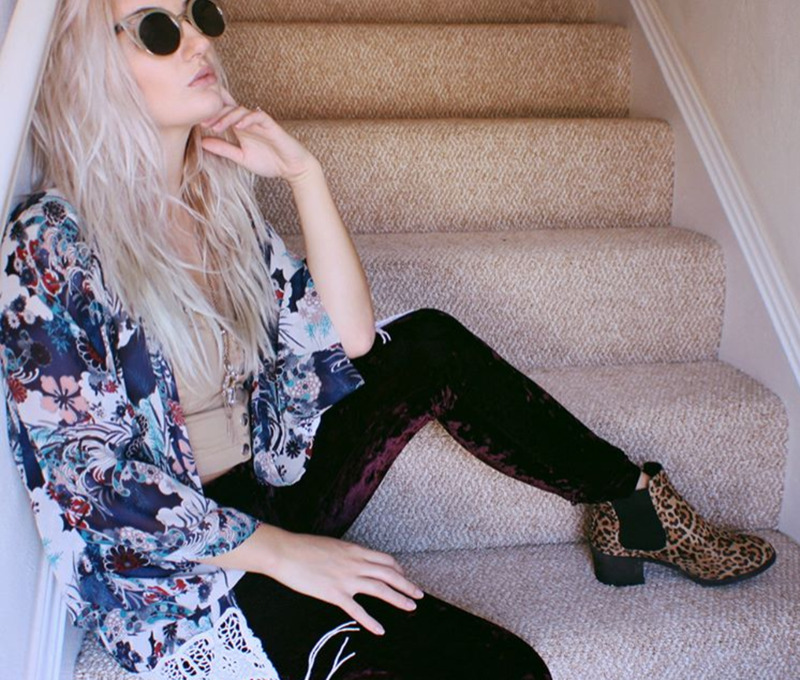 Working quickly, separate your hair into thin layers and paint the toner on, saturating the entire section. I usually start with the hair on my part and around my face and neck, and work my way in. The toner may start to change to a deep, dark shade of blue or purple. Do NOT be alarmed! Let it do its work. You will not end up with dark hair. Let the toner sit for 8–10 minutes for a lighter shade or 20–25 minutes for a darker shade. Once you're ready, wash it out with shampoo and be sure to condition. Just a heads up for people who didn't know this, but you can use any conditioner as a leave-in conditioner . . . just let it dry on your hair and brush it; you'll get the same result. Don't waste your money on a specifically branded "leave-in" when you have perfectly good conditioner already. Why Should I Use Wella Over Another Brand? Wella Professionals, based in Germany, has been making hair products for over 130 years, and they have a real knack for getting things juuust right. From toners to moisturizing shampoos, you really can't go wrong with Wella. While some DIY products can yield disastrous results (we're looking at you, Sally's boxed dyes), most users have great success with Wella and find that they can get salon-worthy results from home. They also provide a huge range of shades (though you may have to order online, depending on the in-store offerings in your area), meaning there's a much higher chance of attaining the color you're looking for. Honestly, there's simply no comparison between Wella and most of the other DIY brands you'll find at your local beauty shop! Simple! It's a product that neutralizes brassy tones on blonde or bleached hair. In other words, it's a miracle in a bottle that keeps your hair looking natural rather than processed. Have you ever seen someone out there who tried to go platinum and got more of a "banana" color instead? This is exactly the issue that toner aims to fix. How, you ask? Toner uses ammonia mixed with some other chemicals to create a gel. That gel, when applied to your hair, will slightly lift and tone your hair to specific and delicate shades of blonde. Note: For an in-depth explanation of toner, check out "What Is Toner, and How Does It Work?" Sort of. The toner itself won't damage your hair, but the bleach that often precedes it (it's not possible to lighten your hair with a toner) or the developer needed for the toner to work can absolutely damage your hair. We're all pretty familiar with the ways bleach can damage your hair, but fewer people are familiar with the potential damage developers can inflict. Developer opens your hairs' cuticles so that color can penetrate it, but using developers that are too strong (e.g. 30 or 40 volume, which you should never use at home) or using weaker developers too often can be very hard on your hair. For this reason, you shouldn't tone your hair too much or too often. it's important to give your hair time to recover between toning sessions—a few days at the very least. 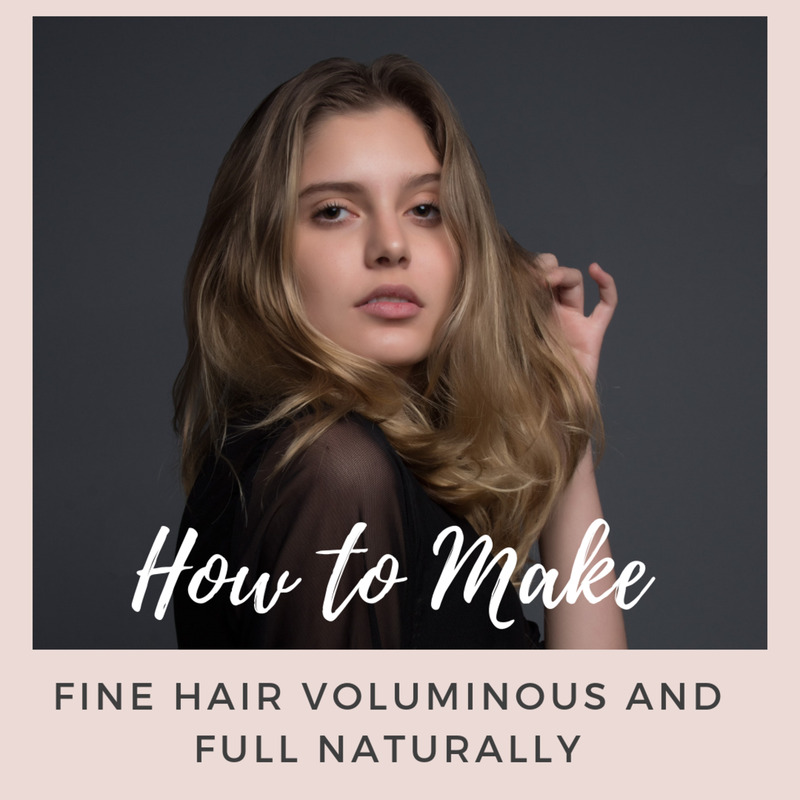 In addition to giving your hair a breather, this will also give you a better idea of what your color is really like, as it will shift a bit after being toned. Going from your current hair color to your dream hair color via toning can be trickier than it initially appears. Here are three common toning mistakes and how to avoid them. This usually happens when you're worried about making your hair too dark, but using a toner for a level that's lighter than the lift you already have can end up creating unbalanced warmth and resulting in an awkward look. Solution: Never tone higher than the level the hair is already lifted to. This usually happens when you eliminate all warm and gold tones in the hopes that it will give you the silvery look you're going for. Unfortunately, all this does is remove your hair's brightness. Solution: Never eliminate warmth completely. Instead, try balancing it. 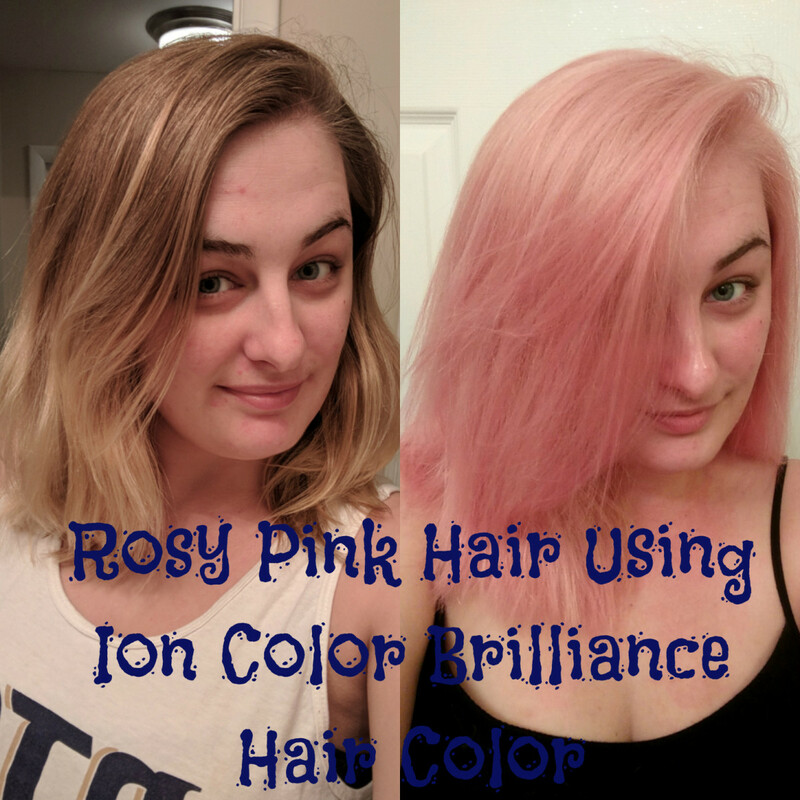 While going from your current color to your desired color in a day would be optimal, it often isn't possible, especially if the difference between the two is fairly drastic. Solution: Don't try to achieve your perfect color all at once. Instead, resign yourself to the fact that it may take several sessions over the course of a few months to achieve your perfect color. This can happen if you use an ash toner (which contains more green tones) or blue-tinted toner on yellow-toned hair, as the combination could result in a greenish color. Solution: Avoid green- or blue-tinted toners and opt for purple-tinted ones instead! Toning darker without filling the hair first will result in a muddy gray color that almost certainly isn't what you were going for. Solution: Fill hair to balance the tones before using a toner to go darker. For more information about troubleshooting toning mistakes, including examples, check out this article by @PaintedChair. At this point, you should have a beautiful, non-brassy shade of blonde hair! If that didn't happen, you may need to reevaluate the steps that you took. Did you bleach your hair to the proper level before toning it? Did you leave the toner in long enough? Did you use the proper volume of developer? Again, if you need to redo the process, wait a few days first to give your hair a breather. In my experience, toner is not truly "permanent" and will need to be used again once brassy tones start to come back through. This will take some time though. There are many ways to prevent brassy hair, but I've found that a particularly great product for upkeep is Generic Brand Purple Shampoo, available at Sally's. This will work to tone your hair every time you take a shower, preventing brassiness! 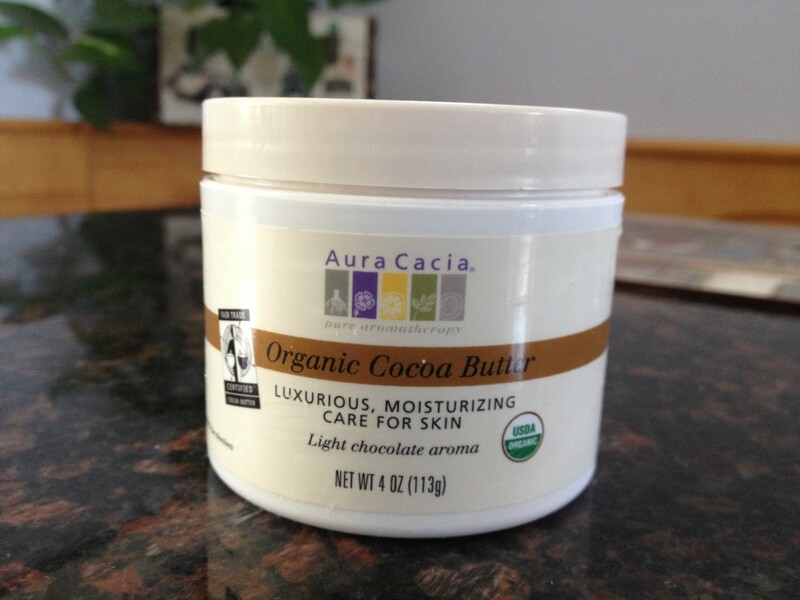 But again, be sure to use a moisturizing conditioner, as toning shampoos can end up drying out your hair. What Is Developer and How Do You Use It? Your toner WILL fade, so maybe the trick would be to wash it out. If you wash your hair every day, it should fade pretty quickly. Then I would do T18 and hopefully that does the trick! If you have the T14 in now, I don't think it would get any lighter by applying another toner on top. I haven't had this issue before, but I'd try just washing it out first and then adjusting to the T18. Hi Alexa, unfortunately I came to you a little late. I made a mistake. My hair turned out more of that grey dull color. And I need to know how to correct this. Please help. Hi Alex. (I made a profile I commented earlier.) Yes sorry I forgot to put what colour I wanted to achieve I'm going for a icy white blonde. Something like your picture, captioned (my new look) My friend reccomended to dye my hair with an Ash/gold blonde level 7. Do another bleach and then tone it.What do you think about that idea? I'm confused. I hear t18 isn't good if you have any orange in your hair because it's not blue. It's violet. I assume I'd use that one after I getting all the orange out . 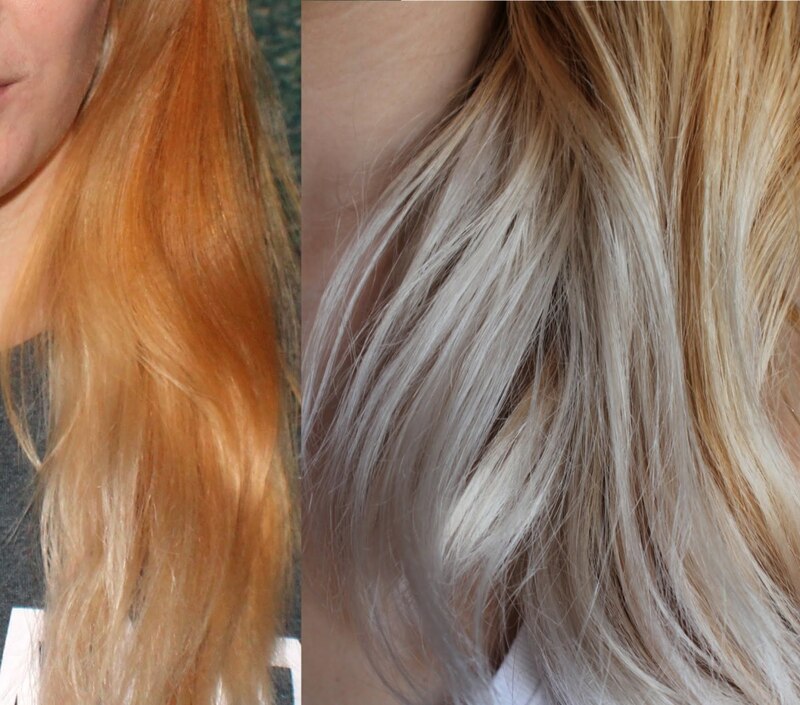 So what's the best toner if you want to go to a icy white blonde. If you have orange in your hair? Love your blog! I think it depends on what you are going for, an ash blonde might tone down the red. If you're trying to get caramel colored hair this may be the way to go. If you want something lighter, you'll need another bleach. My hair is very very dark, and when I did my first round of bleach it did the same thing. It wasn't the result I wanted, so after several light bleaches I had a workable blonde. You can tone as often as you'd like really, but just be careful because each time you're using more ammonia which will dry out your hair. If it feels like it's strong enough to take another toning, I'd go for it! One thing I would try is using purple shampoo instead of blue - blue is meant to counteract orange tones, where yellow is reduced by purple. What I used to do is apply the shampoo to the bad spots before getting in the shower, so I could let it sit in for 15-20 minutes. Essentially toning your hair without using the harsh chemicals. How often can I tone?? I finally got my hair lightened to where T18 toned perfectly!!! But its now day 9 and I am almost brassed out again :( I use blue shampoo and condition only 2 wc a week. I am so frustrated because I just loved how it looked!! Wow, so helpful! You did an amaze job explaining color theory! Thank you!! 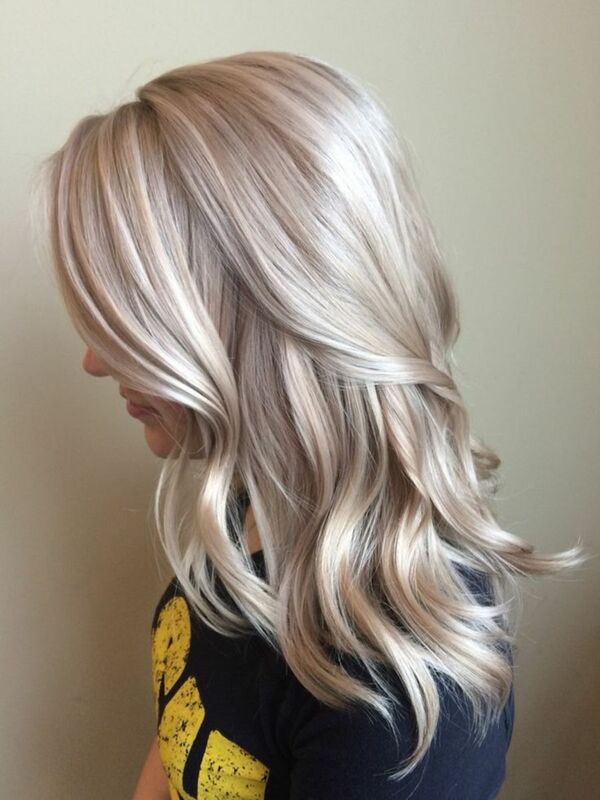 I have read and watched everything out there on going from dark brown to silver, but this is the most detailed and straight forward advice and information out there. Thank you, greatly appreciated!! So i got my hair done and after toning i have a light orange patch near the front. The stylist doesnt have time to fix it before i leave for a trip...what wella toner should i use? Should i tone my whole head or just that spot? Hi Alex! Thanks so much for this info! I bleached my hair to platinum and toned but came out more ashy than white. Do u think i might've over tonedor under toned? Can i get it white by toning again or do i need to bleach the toner out first now ya think? This is a great review and how-to! This is even better than the vague tutorials offered through Wella! Thank you for this! I have been using a deep burgundy color for about a year. I used l’oreals Color remove for about 40 minutes. Then I colored my hair right after with a medium golden brown. It looks more reddish orange how can I fix it? Please! You're a life saver! The only place where I can actually read what color base the toner is. Thanks! What toner was used to achieve the after color in the picture on the article?! I lightened my hair to an 8, I would like lighter but really don’t want to bleach it again. I used the Natural blonde Wella toner but it’s still kinda orangey yellow. Do you think the ash toners would help or will they be pretty useless since my hair isn’t lighter? Thanks! My natural hair is a 6/7ish and has grown out a good bit (I haven’t colored since october) i did a bayalage. I have a nice blonde bayalage going on. I’ve read this article and the One about hair toner in general. I’ve been using Fanola no orange mixed with blonde brilliance from Sally’s and it’s done wonders but I still have that brassy blonde in the mid section of my hair that the shampoos just arent working. I don’t want to do any thing with my roots. I’ve pretty much decided on the Wella T10. Will it also lift my roots if I use 20v developer? I would try to hit it with t18! It gives a much more neutral tone and is used for getting the yellows out. Hi, i used a t14 toner & 050 additive for gray color look ,but my hair gray with yellow hints like a grand mom should i use another toner t14 or use t18 dnt k ow help please.